Since we had made a reservation for a large group, they had set up a special menu of sorts. This way, we got to try a little of everything. 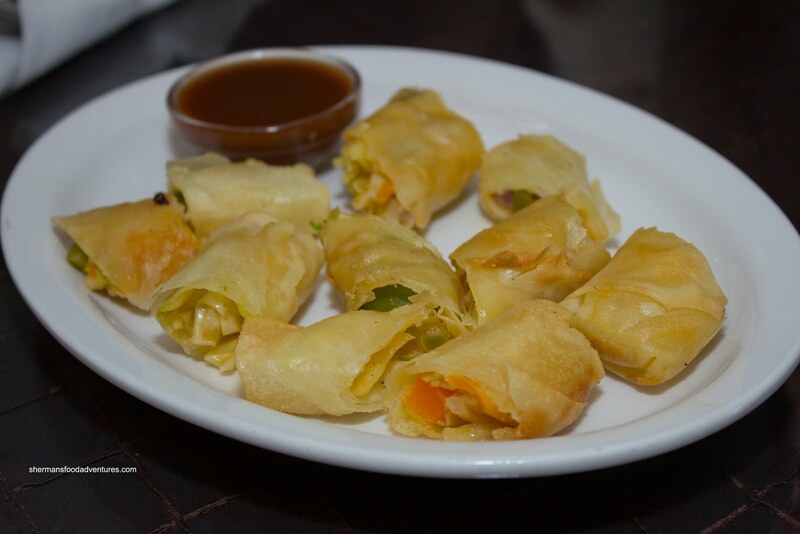 The first thing to arrive was a Spring Roll of sorts filled with peppers and onions. Served on the side was a tamarind chutney which was appetizingly tart. The roll itself was a tad greasy, yet it was crisp and the ingredients were still vibrant. Next up were multiple plates of the Mantoo and Ashak. These were very similar except the mantoo were meat dumping ands the ashak were vegetarian. Both were topped yogurt and tomato sauce. These were pretty good with the dumpling skin being thin and easy to eat. The flavours were mild and I swear there was cumin in the meat dumpling, but our server said there was none. Maybe I imagined it? Whatever the case, due to my bias towards meat, I preferred those over the veggie dumplings. Next up was the Bouranee-Banjann or eggplant with yogurt sauce. 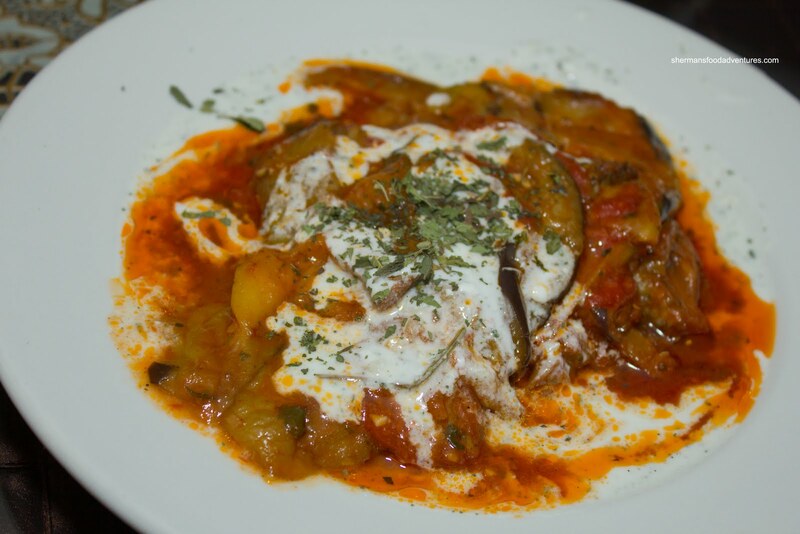 The eggplant was cooked until it was super soft and practically melted in my mouth. Despite this, it wasn't mush pre se either. There was a good level of tartness mixed in with the spices. The dish was quite oily though. Then we were presented with a special item not found on the menu - Braised Lamb Shank. 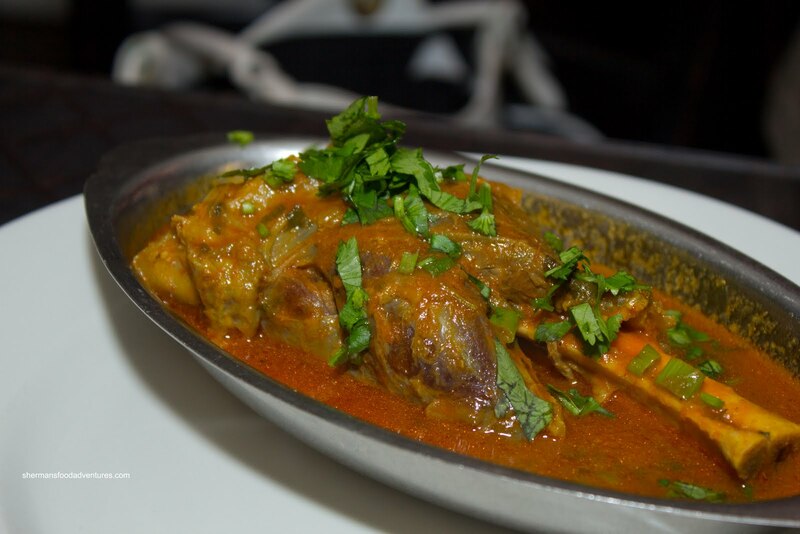 Although hardly chewy, the lamb shank could've stood for more cooking time. It did not exhibit that desired gelatinous fall off the bone, melt-in-your mouth quality. Furthermore, the rich colour of the sauce did not translate into bold flavours. I found it to be flat and only somewhat herby. Whenever there is sauce, rice is inevitably a side dish. The Qabili Palau confused me for a moment when I dug into and discovered there was no meat! Usually, there is some form of meat buried below. 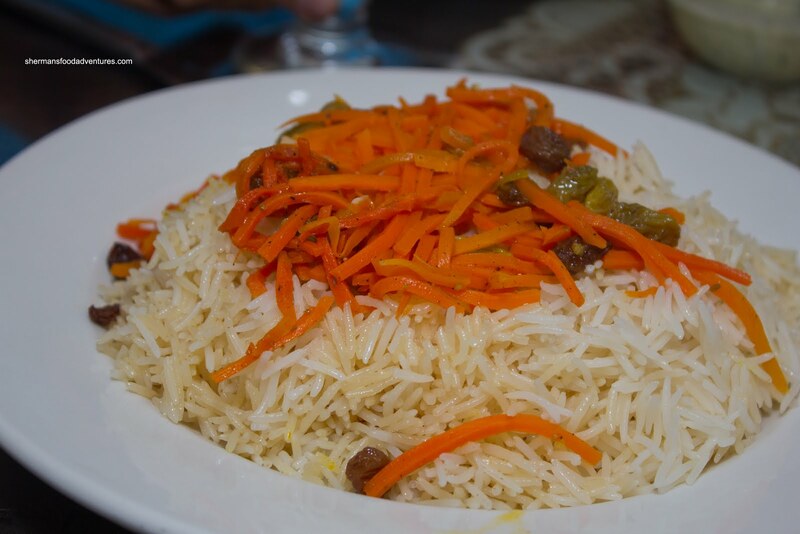 So this was a plain version of Afghanistan's national dish which consists of long grain rice topped with carrots and raisins. I found the rice to be perfectly cooked exhibiting a chewy texture. Of course the carrots and raisins made for a sweet tasting rice that was good on its own. It was a touch oily though. Okay, no meat in the Qabili Palau? No problem! How about all 3 types of kebabs and why don't we make it 3 plates each? Uh... I like meat, but that was too much food! Imagine that, too much food. I don't say that very often. 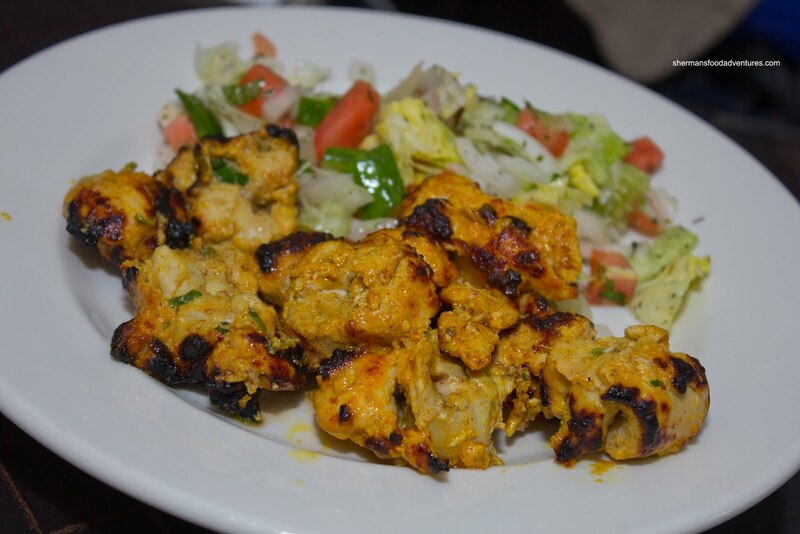 So we started with the Chicken Kababs which wore a nice char on its exterior. That added a nice smokiness to the moist meat. 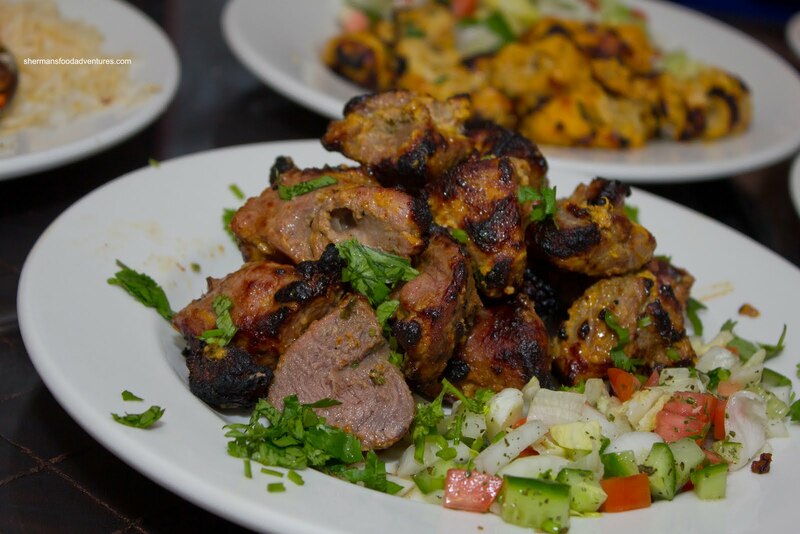 By virtue of being chicken, the depth of flavour of the meat itself did not compare to the Tikka Kababs. It is quite obvious from the picture that each chunk of lamb was super moist and juicy. Hence, there was a lovely gaminess which was further amplified by the considerable charring of the exterior. There was a good hit of garlic as well. After trying the lamb kebabs, it was almost anti-climatic when it came to the Seekh Kebabs. I guess it didn't help that these were chewy and somewhat gritty. 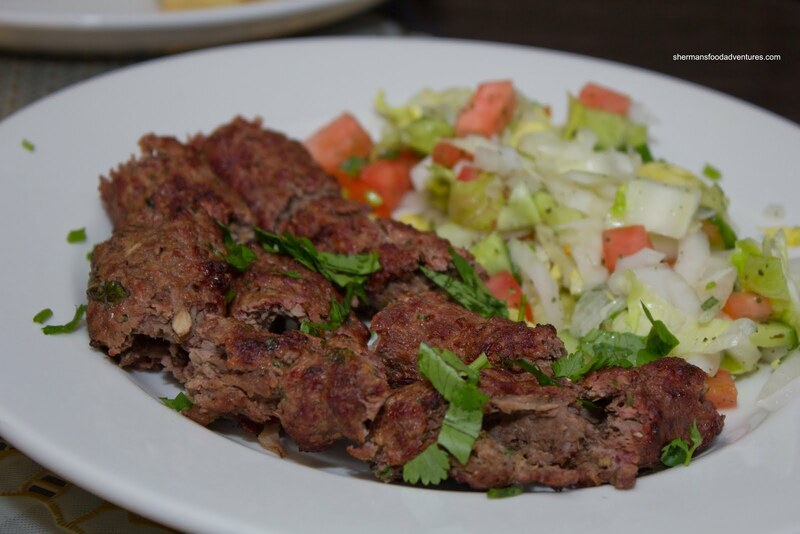 After 2 moist, tender and juicy kebabs, the beef was a letdown. On the other hand, the beef was probably the most seasoned of the 3 meats. 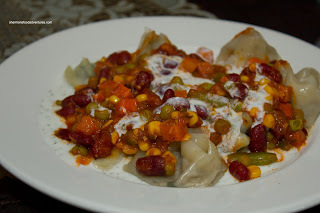 It was flavourful with a combination of ground beef, onions, tomatoes and coriander seed. Thus it had more of kick of spices unlike the lamb and chicken, which were more mild. However, there was considerably less charring with the beef which took away from the depth of flavour. I gotta say, it was a real treat to try so many items from the menu. I'm not sure if they cooked more food since our original reservation was larger, but we had enough for twice the amount of diners. We only paid a modest $20.00 per person for all this food. Again, this may not be indicative of what a regular meal would cost due to our initial reservation. 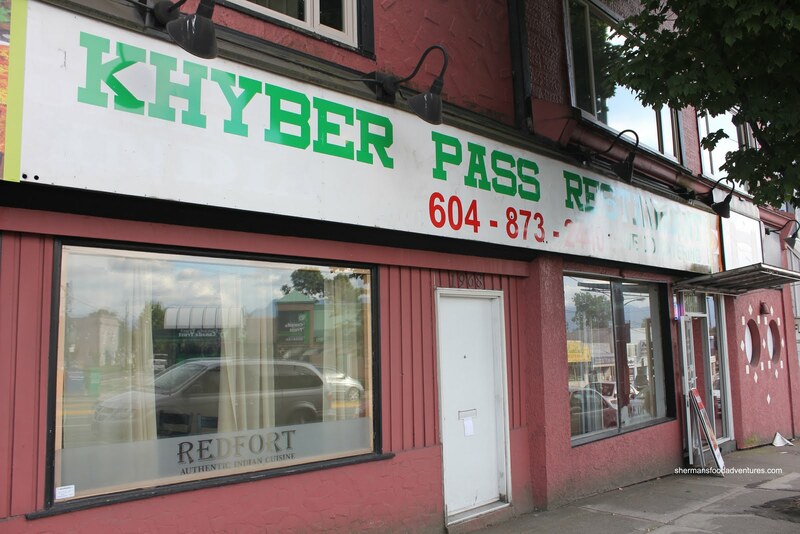 If I had to compare the food here to the other 2 Afghan restaurants I have been to in Vancouver, Khyber Pass would be comparable. Personally, I like Afghan Chopan more for now and since I haven't been to the Afghan Horsemen in a while, I'll need to wait for a revisit to comment. 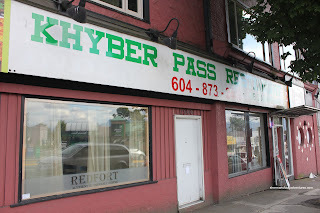 I'd have to say Khyber Pass is in the top 3, albeit, there are only 3 large Afghan restaurants in the GVRD (at least to my knowledge and at the time of this blog post). Drove past tonight around 7pm. Windows were covered up and it was pitch dark.